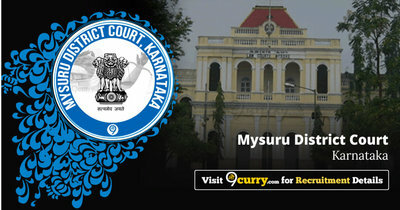 Mysore District Court Result 2019: Below are the latest results published by Mysore District Court - Mysore District Court, Karnataka / districts.ecourts.gov.in. The recent result announced by the organization is Peon Additional List 2019. Mysore District Court Peon Additional List 2019: Mysore District Court, Karnataka has announced the Result on 05 Apr 2019 for the exam . Mysore District Court Peons Result 2018: Mysore District Court, Karnataka has announced the Result on 02 Jan 2019 for Mysore District Court Peons Exam 2018. Mysore District Court Typist Accepted & Rejected List 2018: Mysore District Court, Karnataka has announced the Result on 01 Aug 2018 for the exam .